This book is predictable because it shows what the book will be about in introduction and the book cover. And you can also predict because there are different parts of when the mummy comes out in each book chapter. 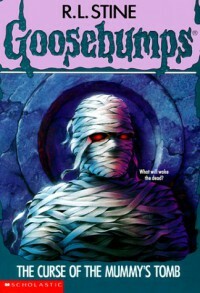 From the book cover that is a mummy you can also predict that the story will be in Egypt and in a pyramid.